April 15 2012. 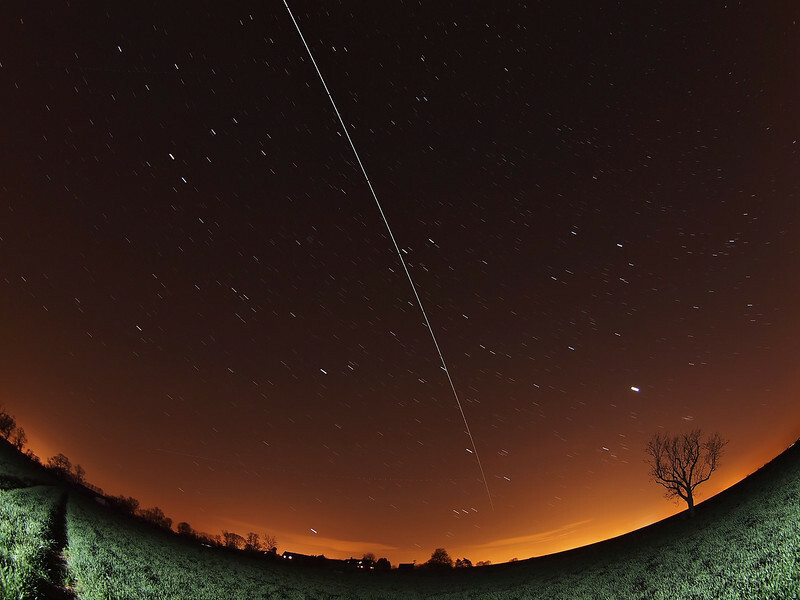 ISS 2151 hrs flyby through the eyes of a fish ;-) Came into view due west and directly overhead due east. Very bright pass indeed. Captured with Olympus E5 & 8mm fisheye. Approx 12 15s exposures (F3.5, ISO 500) put together as composite in StarStax.